Las Vegas is the party capital of the world any day of the year. So when a New Year’s atmosphere, a few hundred thousand people making the trip to ring the New Year in and a whole lot of fireworks into the mix, it’s easy to see why it was named Yahoo’s top destination to spend New Year. Ringing in the beginning of another year here will be a night to remember for the rest of your life. So why not escape the British winter and head off on a 2019/20 New Year’s break to Las Vegas for the biggest party you’ll ever attend? The bars, hotels, clubs and restaurants almost all put something special on for New Year’s Eve in Las Vegas. So take your pick from the strip’s top party places. And of course, no New Year’s party is complete without fireworks. As you’d expect from Las Vegas, the fireworks here are a sight to behold, lighting up the sky over the iconic strip as the clock rings in the New Year. You could enjoy the pyrotechnics from the hustle bustle of the strip itself. Alternatively, you might want to escape the crowds and head somewhere in the valley with an elevated viewpoint for an even better view of the lights. Many people head to the airport but you might choose to find a quieter spot. As with any night of the year here, you can then party well into the next morning (and beyond!) if you can stick it out! We have a huge selection of hotels to choose from in Las Vegas, so you can tailor make a package to suit your budget. So why not see in 2019 with a party to remember? 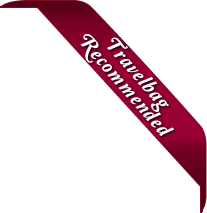 Book your New Year’s break with Travelbag today. The ‘Entertainment Capital of the World’, Las Vegas is a city of gleeful excess, where gambling is a exciting way of life, the star-studded shows are awe-inspiring, the exhilarating parties are never-ending and the lavish hotels are landmarks themselves. Indulge your adventurous side with a Las Vegas holiday by staying in one of Las Vegas’ famous hotels and casinos on the glittering Strip, such as the Bellagio, Caesar’s Palace, The Palazzo, Mandalay Bay and Wynn. Even if you’re not enticed by the lure of the poker table, Las Vegas has much to offer with its world-class dining, entertainment and shopping attractions, not to mention proximity to one of America’s greatest natural wonders, the Grand Canyon. 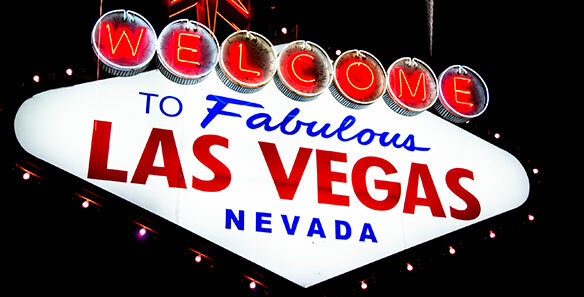 If you would like to know more about Travelbag’s excellent tailor-made holidays to Las Vegas, call us on and speak with one of our friendly and knowledgeable travel experts. A trip to Sin City is on the horizon and the last thing you want to do is leave something behind. The lights and extravagance of energetic Las Vegas makes for a great holiday and you’re able to do a whole host of things from winning big in an iconic casino and watching a show to flying over the Grand Canyon – so pack right! You are likely to be covering a lot of ground once you get to Vegas as you explore downtown and the Strip so be sure comfortable shoes are top of your list. Flip flops and swimwear are important for a cool down at the end of the day but be sure that in the middle of the day you are walking in comfort. If you are going in the summer months then it will be baking hot so your standard shorts, t-shirts, sun hat, suncream and sunglasses are crucial. Inside the casinos it can be chilly thanks to the air-conditioning so a light jacket may be useful and the temperature does drop as winter comes in from November to April so bear that in mind. When it comes to the evenings, some clubs have an enforced dress code so keep hats, ripped jeans and that sort of thing to a minimum and carry some smart casual clothing for those occasions. Las Vegas has all the amenities and shops that you could need to stock up on anything you forget. Capital-Las Vegas is the largest city in the state of Nevada where the capital is Carson City. It is no wonder that Las Vegas is a world-renowned tourist destination when you consider that it averages 320 days of sun each year - ideal holiday weather. From May to September you are treated to average highs of more that 30ºC, with July topping the charts at 41ºC, and lows aren’t often lower than 20ºC. It is an arid climate and the average humidity is 29%. With clear skies as standard, it is basically either warm or hot in Las Vegas depending on the season that you visit. Winter is often the cheapest time to visit while spring is a good option if you are looking for cooler weather.